Nearly twenty years after the advent of democracy, South Africa, the largest economy in Africa, seems perpetually unable to make good on its promise to support small-scale farming. Why is this the case? First, a huge proportion of the money is dedicated to salaries for agricultural officers – overall 58 per cent of all agricultural development spending is on state employees. Even with a threefold increase in the agricultural budget over the past 15 years (in real terms – that is, accounting for inflation) this has not translated into strong benefits for small farmers: South Africa’s General Household Survey shows that fewer than 2 per cent of black farming households report having had any contact with an extension officer in the prior year. This growing bureaucracy is not out there in the fields making contact with small farmers. So we’re getting little bang for the bucks spent on state officials. A further proportion of the funds is spent on procuring the services of private sector consultants – mostly former white commercial farmers, now entering the more lucrative industry of advising government – to develop ‘business plans’ setting out how black farmers should farm. Second, the funds that are available are channeled into costly state-run on-farm ‘projects’ rather than providing generic forms of support that can service many farmers. In our analysis of trends in farmer support, Michael Aliber and I found that available resources are being skewed towards few, capital-intensive projects, largely for urban-based black businessmen (and women, but largely men), while the vast majority of existing black small-scale farmers are left with zero or near-zero support. Rather than subdividing large farms, the market-based land redistribution process has tended to rather aim to maintain existing landholdings, and to prioritise the more promising commercial projects for substantial state support. Third, the land reform programme now involves government buying farms and leasing them out to ‘emerging farmers’ who need to prove their skills on short-term leases, before getting their tenure confirmed. This model is wholly inappropriate for many people who don’t wish and cannot feasibly become commercial farmers in the mould of the white commercial farming sector. For instance, the women of Yarrow Farm outside Grahamstown in the Eastern Cape are fourth-generation farm workers and small-scale farmers, who are now told by government that they can have the farm previously owned by a white man. But the Department of Agriculture says it cannot provide them with support for their farming – they don’t have a long-term lease – and of course there is no prospect of funding from a bank, without land as collateral. So, in the absence of secure land rights or state support, they use their meagre social grants and some remittances from family members working in town to invest in seeds and a water pump, and grow vegetables for their own families and to sell at the side of the road. Fourth, state agricultural development services provided in the past have been withdrawn, for instance free veterinary services – crucial in the context where most ‘small-scale’ farmers are more into income-smoothing livestock husbandry than risky crop production. Owning cattle is in various part a livelihood strategy, a commercial endeavor and a cultural investment – and is certainly a mainstay for many farmers in the communal areas of the former ‘Bantustans’. While the cattle population grows, ownership of livestock is becoming more unequal, as those able to pay for services provided in the past by government become bigger while others drop out and no longer own cattle. Finally, at market, small-scale farmers are ‘Davids’ competing with ‘Goliaths’ – even in their own backyards. This is the case, for instance, for small-scale farmers in the Mount Frere area of the Eastern Cape, which was part of a ‘native reserve’ and later the ‘Bantustan’ of Transkei (supposedly an independent state established by the apartheid government). Here, most farming families spend their cash incomes from state grants (especially child support grants and old age pensions) on corporate manufactured foods in the local outlet of a major retail chains, notably Shoprite or Boxer. As my colleagues Andries du Toit and David Neves found, in Mount Frere the ‘money trucks’ that bring the social grants into the small rural town travel the same road as the trucks bringing manufactured and processed foods (and even fresh produce) from the industrial centres of South Africa. 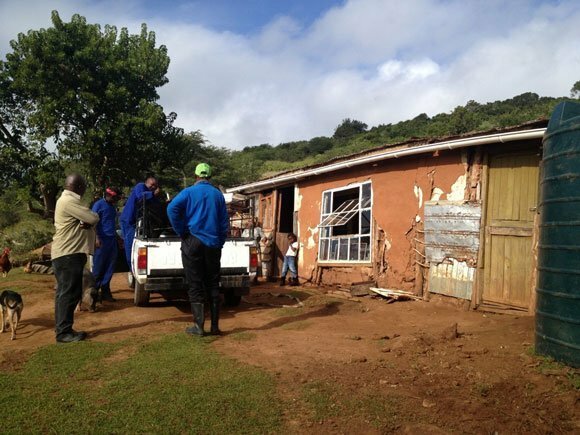 These towns see a cyclical ‘boom’ on the day each month when social grants are disbursed, as people from the surrounding areas spend their meagre income (R250 or $25 for a social grant, often the lifeline for a whole family to see through a month) – and then the money is immediately removed from the local economy, feeding accumulation in the commercial and financial hub of Johannesburg, over 1,000km away. In this scenario, retail penetration in rural areas fuels de-agrarianisation. So here’s the conundrum: in South Africa, small-scale farming is entirely insignificant when one considers its contribution to overall food production. Indeed, many dismiss its significance, seeing any attempt to promote small-scale as idealistic romanticism, disconnected from contemporary economic realities. Yet small-scale farming is of importance not because of its contribution to GDP, or even to employment, but because it is the primary productive and potentially income-generating activity of many of the poorest South Africans. There are just under 40,000 commercial farms in South Africa, still owned mostly by white South Africans, but increasingly also by South African companies or even large corporations, and foreign individuals or companies. 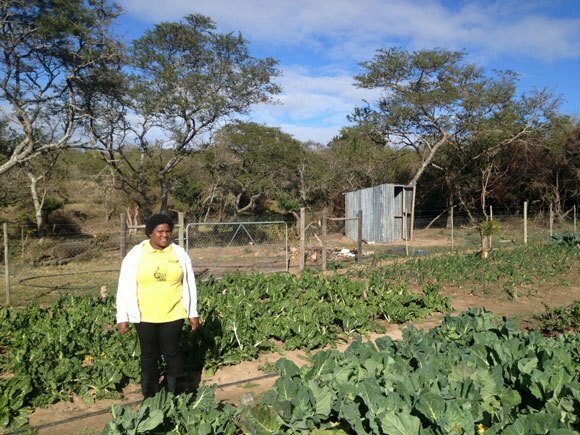 But there are over two million black farming households, half of them in just six districts in the poorest provinces – Limpopo and the Eastern Cape – and almost all of them are farming primarily in order to get an extra source of food. They are not farming for ‘subsistence’ as they buy most of their food. Nor are they commercial farmers in that they sell infrequently or not at all. Government programmes seem to have a blind eye to this predominant reality, envisaging instead that small-scale farmers must show ‘production discipline’ and then ‘graduate’ from being small-scale farmers into becoming medium to large-scale commercial farmers. In a context where state support has been rolled back since the heyday of state-sponsored white farming, where concessionary credit has been withdrawn, and where market competition is putting on the squeeze, this seems a recipe suited only to a narrow band of farmers, and suited best to those who have reliable incomes from other non-farming sources. Which explains why, in trying to pick farmers to support, state programmes seem to be favouring urban businessmen, and bypassing the vast numbers of small-scale farmers who flout the modernizing dream of agricultural officials. Better practices are visible in many parts of South Africa yet are not being picked up in policy. Better access to markets require arrangements to enable small farmers to aggregate their produce and leverage better prices and terms. This has been done by the Wool Growers Association in the Eastern Cape, where small farmers farm separately but shear, grade, bale and auction wool collectively. Better integration into value chains requires concessions from retailers to procure locally rather than through centralized distribution systems. The major retailer Spar is one exception in a sector dominated by centralized supermarket chains; instead of sourcing all its fresh produce from the Johannesburg Fresh Produce Market, the Spar outlets in Limpopo province’s Thohoyandou and Elim have entered into agreements with local black farmers to supply certain vegetables and work with them to meet quantity and quality requirements. But there are difficulties, and rather than piecemeal interventions, what is needed is a coherent chain-wide approach to supporting smallholders – from ownership of seed, land rights, water rights, through access to inputs, tractor services, extension, veterinary services, processing and marketing. Regulations and incentives are needed to get food processors and retailers to procure from smallholders – with the public sector (schools and hospitals) leading by example. South Africa must deracialise its commercial farming sector. But this alone will benefit only few black people. To make real inroads into rural poverty, support for the large, impoverished and neglected small-scale farming sector must be wholly rethought. David is not going to grow into Goliath; Goliath must change his ways. The first step forward is to support local experiments, often driven by community-based and non-governmental organisations rather than government – it is successful experiments at a micro scale that shine the light to rethinking policy. Change is more likely to be driven by examples of what works on the ground than the (already patent) evidence of what does not. A second step is to learn from elsewhere. In debating the way forward, South Africans seem to suffer from ‘exceptionalism’, the belief that our country is different and therefore cannot learn usefully from other countries’ experiences. We are doing ourselves down and need some real modesty when it comes to examining our shortcomings and looking for answers. What are the best examples of pro-smallholder policies from other countries which South Africa could learn from? Documenting these, and the kinds of institutions required to put them into practice, would be a useful role for international academics and non-governmental organisations.